Color Your Summer Vacation with Extra Blue and More Fun. Children learn what they live so it is never too early to share planet-friendly experiences and in this case sea-friendly experiences with children enabling them to build their own positive connection with our planet. 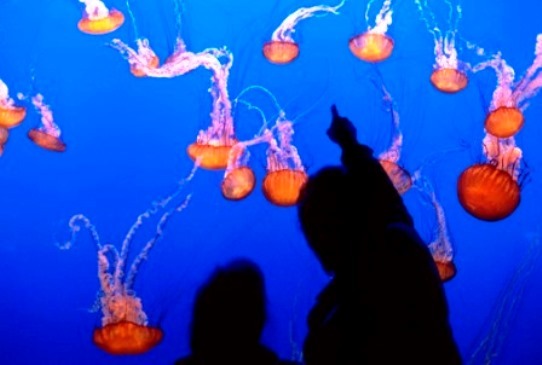 Monterey Bay Aquarium special summer activities offer great ways for families to experience the wonders of the ocean together, enjoy a diver’s-eye view of marine life, and watch jellies dance. Green spots, meaning earth-friendly family vacation ideas, are abundant but what about a blue version. The bluest family vacations include experiences at facilities and working labs that share a love of the ocean and enable families to discover amazing things about life in the sea. These seaside centers and labs have family-friendly programs and activities which add extra “blue” to any vacation. The interactive, engaging programs provide opportunities for family fun and make the perfect launch to next year’s school year. These beach vacation locations have all the benefits of paradise plus “blue,” planet-friendly activities at sea life centers and interactive marine labs. These 10 examples demonstrate the best of blue possibilities. Monterey Bay Aquarium Underwater Explorers program gives kids have the chance to surface SCUBA in the Great Tide Pool. 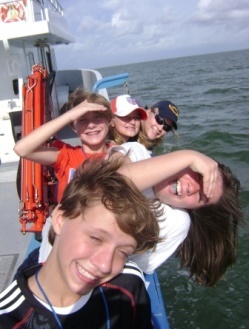 Dauphin Island Sea Lab Center offers exciting discovery cruises in Mobile Bay perfect for adding extra blue to any family vacation. At Dauphin Island Sea Lab in Alabama share the adventures of a grain of sand. Virginia Aquarium on Virginia Beach has interactive catamaran sealife excursions. MOTE Aquarium & Marine Laboratory in Sarasota invites visitors to serve brunch to a shark. Port Townsend Marine Science Center in Washington is the place to go tide pool trekking. At Aquarium of the Pacific in Long Beach caress sharks in Shark Lagoon. At Seymour Marine Discovery Center in Santa Cruz it is possible to pet a shark. South Padre Island Dolphin Research and Sealife Center in Port Isabel is the place to meet the dolphins of the Laguna Madre. At Alaska Sea Life Center in Seward visitors are invited to shake hands with an octopus. 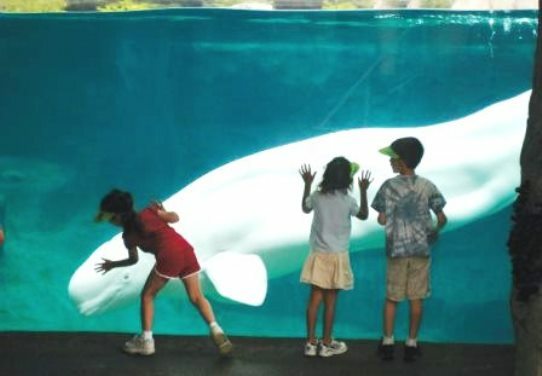 Mystic Aquarium is home to some of the most amazing Beluga whales in captivity. Mystic Aquarium & Institute for Exploration lets guests paint with a Beluga whale. As always I welcome feedback. Do you have a favorite blue experience to share? If so just Tell Mom. Curator of the Good Stuff for the Family Travel Files.